I like a bit of variety when it comes to blogging a weekly fashion post, and Sleep ‘N Round is just what I feel like right now. The clothes that is – what were you thinking?? Yes, it’s a label, silly! Given how much time we actually spend in sleepwear, it’s surprising how little focus it’s given. Even more surprising that more entrepreneurs haven’t tried to jump on the bandwagon and sell pyjamas, given the very public and much-heralded success of Australian pyjama king Peter Alexander. I’m sure I thought about doing something very similar a couple of years ago but didn’t do anything about it, and now, lo and behold, someone else has. Three young men have opened a flagship store on Melbourne’s prime strip shopping location, Chapel Street, to mark their rising success in the sleepwear trade. First and foremost, in the appeal stakes is that Sleep ‘N Round’s primary concept is to make sleepwear that doubles as clothes. That’s right – you sleep in it, wake up in it then wear it. Yep, that’s a huge plus. Think of the time you’ll save on washing clothes, getting dressed and choosing what to wear. All you have to do is jump out of bed and put on sneakers instead of slippers and ‘hey presto’, you can head on down to the local coffee shop or to a picnic at the beach without getting changed, For us lazy folk, it’s a dreamy concept. Then there’s the actual designs of the sleepwear itself. It’s a pretty edgy look – on trend patterned pants, stylish t-shirts and funky shorts – all in a contemporary colour palette that oozes cool. Most of the range is easily interchangeable too, giving it a versatility that has broad appeal to customers with varying design tastes. Thirdly, I love the brand mascot – Jeffrey the bear. Apparently he’s well-travelled, with promo shots taken of him sleeping his way around the world, and there’s plans for further celebrity appearances as he becomes increasingly famous. And the fourth reason to love, is that Christmas is on our doorstep. That means shopping for presents and its affordable price range makes Sleep ‘N Round sleepwear a perfect gift option with each piece costing between about $40 and $70. 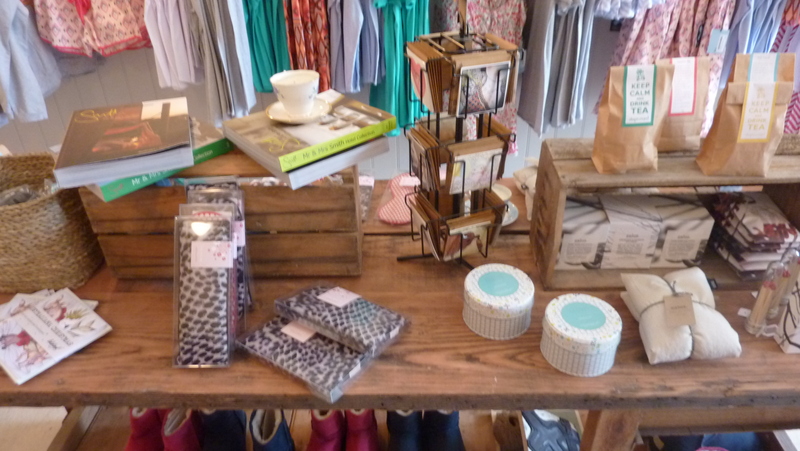 Not only does the store sell sleepwear, it has a range of gifts which all fit the ‘relaxation theme’ – heat pillows, ugg boots, decorative pillows, specialty teas and candles. Gift cards too, making it a one-stop present shop. It’s a timely business move for Michael Osborne. The Hawthorn footballer is currently de-listed due to an injury, but regardless of his AFL career, Osborne is setting himself up for a financially secure future. And he’s fully committed to the whole relaxation theme of the brand. In the centre of the South Yarra store is a double bed, so we thought we’d do our interview horizontal, Why not? 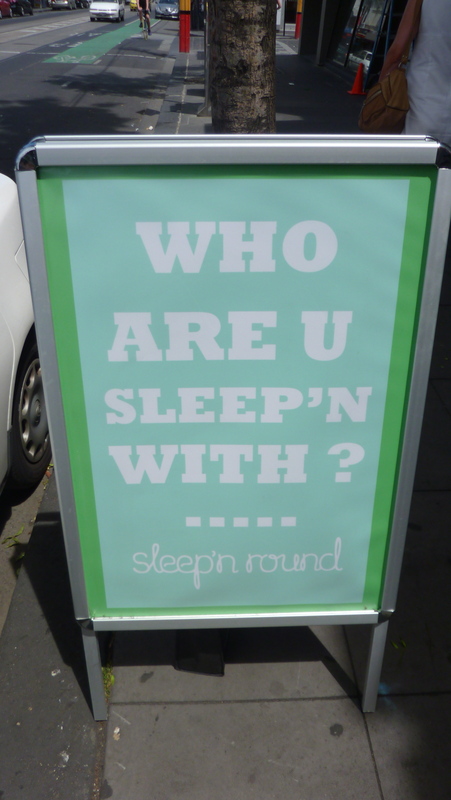 With a name like Sleep ‘N Round, you can’t help but have fun with all the cheeky double entendres it naturally brings. 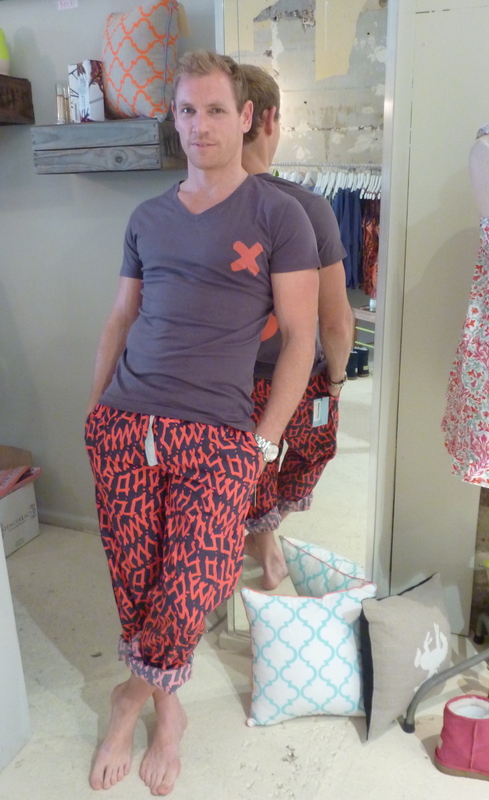 For Michael, his foray into fashion is more than clothes – it’s a lifestyle. ‘With Sleep N Round, we don’t want it to be “just a fashion label”. We want it to encapsulate everything to do with sleep and the recovering side of your day. So we’ve got the comfy clothes you can relax in, the pillows for your bed or couch, tea, candles… And the clothes are really versatile. You can just chuck your jeans on with the tees, or wear it down the beach. I also wear the stuff to the gym,’ he said. The three directors of the company include Michael, Andrew Prowse and Sean Cummins. Originally they started out selling on-line two and half years ago, and were then taken on by Myer. ‘Andrew came up with the idea,’ said Michael. ‘He was at Uni doing a business degree and saw a niche in the market and thought we’d get on with it.’ After a while, they began to feel their product was getting lost in the vastness of a large department store, so to ensure their customers could get a real feel for the brand, they decided to open their own store in Chapel Street. Their fabrics are carefully chosen – most designs are 100% cotton, because they want fabrics that allow the skin to breathe at night. Viscose is another choice because of its silky texture. Michael is also fond of the brand name. ‘It’s a bit cheeky and you can read into it what you like. It appeals to people in different ways. Some people have a dirty mind and like it because it’s a bit suggestive. It matches well with sleepwear.’ And it makes for a good sandwich board advertising!